Alastair is instructed in serious and complicated cases of fraud, violence and organised crime as well as regulatory matters of particular complexity or public interest. Regarded as meticulous and focused in his preparation, Alastair has acted for both the prosecution and defence at the highest level and in the most complex cases. A powerful and persuasive advocate, he is known for combining a friendly and approachable manner with a forceful and focused advocacy style. Throughout his career Alastair has acted across all aspects of criminal work representing both the prosecution and defence. The predominant focus of his present practice lies in serious and large-scale offences relating to drugs, violence and fraud. In particular, Alastair is regularly instructed on complicated cases involving expert forensic evidence and/or vulnerable witnesses and offences alleging conspiracy or links with Organised Crime Networks both nationally and internationally. Having been regularly instructed in cases involving serious violence (attempted murder) and firearms (possession with intent to endanger life) Alastair has developed specialised knowledge in medical and technical fields connected with such offences. A significant part of Alastair’s practice has related to acting in large-scale conspiracies relating to the importation or supply of drugs and money laundering. Alastair has acted for defendants in cases involving the importation of substantial quantities of both Class A and Class B drugs into the UK as well as national and international conspiracies to supply. More recently Alastair has acted for defendants in a number of large-scale prosecutions relating to money laundering. The cases, often involving sums in excess of £5 million require a meticulous and detailed approach to analysis of transactions and supporting evidence and are well suited to Alastair’s style and approach. Acting both for defendants and prosecuting authorities in serious sexual assaults Alastair is experienced in handling witnesses in cases of acute sensitivity. Alastair has advised and acted on behalf of those bringing and responding to private prosecutions as well as seeking advice at the early stages of pre-charge investigations. Alastair acts in significant cases involving allegations of large-scale fraud including the largest ever fraud perpetrated against the Land Registry (R v W). This practice often includes complex conspiracies on a national and international level relating to VAT, insurance, banking and commercial fraud. In this capacity Alastair has acted on behalf of various prosecuting agencies including the Serious Organised Crime Agency, National Crime Agency, CPS and various local authorities although he presently acts predominantly on behalf of defendants in such cases. Alastair’s focus and attention to detail is particularly suited to cases involving complicated transactions or high volumes of documentary evidence. Often acting for professional clients Alastair advises and acts at all stages of proceedings from pre-charge advice to restraint and confiscation as well as ancillary regulatory or disciplinary proceedings. Alastair has advised both companies and individuals in relation to all aspects of financial regulation and conduct including investigations by the FCA and other regulatory bodies into criminal and regulatory breaches. Having initially acted on behalf of a number of prosecuting authorities in relation to asset forfeiture, restraint and confiscation Alastair now balances his practice between prosecution and defence instructions. Alastair has been instructed by the Home Office to act in its more complex cash forfeiture cases Alastair but now acts predominantly for defendants in cases involving the seizure and/recovery of substantial assets or property. This includes confiscations relating to sums in excess of £5million or involving international or corporate asset seizures. Alastair has acted for and advised both companies and individuals facing asset recovery proceedings and is proactive in his approach towards addressing the regulatory and practical risks which attach to these proceedings. Alastair has been instructed to act and advise in a number of high-profile and complex regulatory cases. His practice covers a wide range of regulatory enforcement from FCA investigations to Planning and Environmental regulatory enforcement and he advises and acts for corporate and individual defendants across the spectrum of regulatory enforcement. His practice has included acting in several high profile cases relating to environmental, planning and Health and Safety enforcement such as Westminster City Council v Soho Theatre Company, Mid-Suffolk DC v Two Sisters Food Group, WCC v Davenport and WCC v WH Smith. 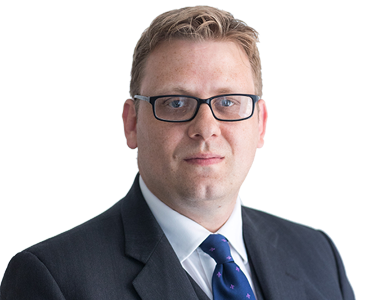 Alastair has also acted in a number of cases involving death or serious injury including WCC v Kettners Restaurant (Pizza Express) and City of London v Blades. In particular Alastair has been instructed to advise and act for local authorities in complex areas of planning and safety enforcement including cases involving serious damage to property (gas explosions) or high-level risks to public safety (asbestos). Alastair has a particular interest in the area of advertising regulations and was recently instructed as a junior alone throughout the prosecution and appeal stages in the successful removal of a large digital sign erected above Leicester Square tube station (WCC v Udondem, WoW Digital and Greene King). Alastair has also been instructed to provide written advice on drafting policies and enforcement procedures for Local Authorities in areas such as taxi licensing and unlawful subletting as well as the regulatory control and enforcement of asbestos related contamination. Alastair also provides training to local authority officers in the investigation and presentation of prosecutions. R v. S – Isleworth Crown Court, 2017 Representing defendant accused of money laundering (£7 million). R v. S – Manchester Crown Court, 2017 Representing defendant accused of large scale fraud credit card conspiracy . R v. N – Harrow Crown Court 2017, Representing defendant accused of possession of firearms with intent to endanger life. R v. Wilson – Lincoln Crown Court, 2017, Representing defendant accused of blackmailing another pupil in relation to sexual images. R v. S – Isleworth Crown Court 2016, Representing a defendant charged with attempted murder after stabbing in a hostel. R v. IM – Harrow Crown Court, 2014. Represented a defendant company charged with trademark offences relating to alleged breaches of copyright for ‘Apple’ branded products. R v. B – Kingston Crown Court, 2014. Represented a defendant charged with conspiracy to rob relating to armed robberies of 5 betting shops in South London. R v. Y – Isleworth Crown Court, 2014. Represented a serving police officer found in possession of a quantity of ammunition at his private home. R v. H – Croydon Crown Court, 2013. Represented defendant charged with conspiracy to supply firearms. WCC v. AMF Franchise (WrapitUP)  – Prosecution of company for breaching use of A1 designated property. WCC v. Bolsover – Prosecution of company for breach of advertising regulations relating to shroud surround to building works. WCC v. Kettners (Pizza Express)  – Prosecution of large London restaurant following health and safety breaches leading to kitchen porter suffering a fall and becoming tetraplegic. City of London v. Blades Ltd – Prosecution of window cleaning company following detah of employee after fall from height. Birmingham City Council v. Educational Hajj and Umrah  – Represented defendant company charged with offences of Fraud and breaches of the Protection of Consumer from Unfair Trading Regulations as well as the Package Tour. Westminster City Council v. Soho Theatre Group  – Represented local authority for prosecution of Soho Theatre following serious injury to visiting stage manager who fell through a ‘Juliet balcony’ doorway. Westminster City Council v. Udondem Ltd and Greene King Ltd  – Represented Local Authority in Magistrates’ Court and appeal proceedings relating to enforcement against digital advertising display erected above Leicester Square tube station. Submissions regarding application of deemed consent, digital v neon luminance, road safety and application of advertising regulations to digital signage. Mid-Suffolk DC v. 2 Sisters Food Group Ltd  – Represented the local authority in prosecution of large-scale food supplier for offences relating to breaches of regulatory oversight and obstructing investigations. R v. W – Southwark Crown Court  – First ever prosecution under legislation relating to mobile advertising within Westminster against the ‘Golf Sale’ sign on Oxford Street. Prosecution successful and subsequent appeal dismissed. R v. D – Horseferry Magistrates’ Court  – Prosecution of Lord Davenport for breaches of noise abatement notices relating to the property of 33 ‘Portland Place’ in central London. R v. M – Croydon Crown Court, 2017. – £6 million confiscation proceedings. R v. G – Trafford Magistrates’ Court, 2015. Acting for Home Office in forfeiture application of £350,000+ of seized cash. R v. M – Uxbridge Magistrates’ Court, 2013. Acting for NCA in forfeiture of £150,000+ of seized cash. R v. O – Isleworth Crown Court, 2012. Acting for Home Office in application to forfeit £519,000 of seized cash.